From breaking new grounds in the labs and on the ground, we continued to strengthen Bangladesh to succeed in its fight against the age-old threat of tuberculosis. Reaching more, doing more: Our free-of-cost services have reached around 60% of total population through 62 new diagnostic centres, of which 6 are dedicated for the Rohingyas living in the camps in Cox’s Bazar, Bangladesh. September, 2018: BRAC was the only civil society organisation in the world to attend the UN General Assembly’s first high level meeting on TB. 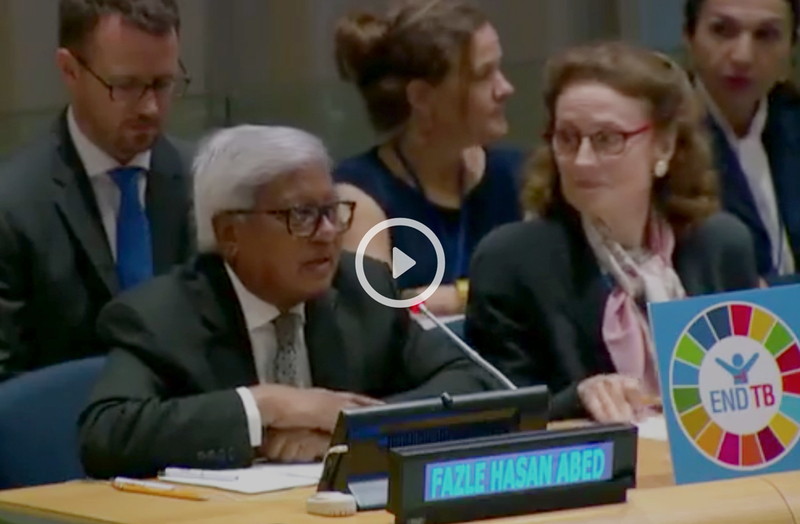 Sir Fazle highlighted BRAC’s success in tackling the disease on a large-scale through service delivery innovations that are attuned to the realities on the ground. October, 2018: BRAC was invited to attend the 49th Union Conference on Lung Health at The Hague, where Dr Akramul Islam, director of BRAC TB and malaria control programme, along with his team shared learnings from their work on the ground covering a wide range of areas – from harnessing the power of community health workers to rethinking interventions for vulnerable groups in urban areas. Asif Ahmad is a senior communications officer at BRAC Tuberculosis Programme.